Matched giving announced: Your gift doubled! 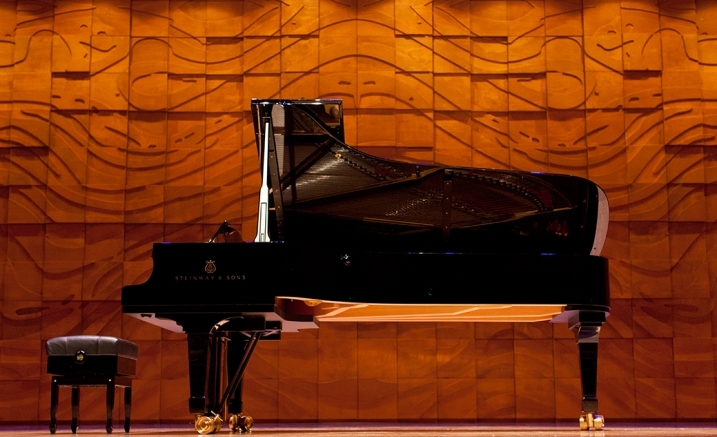 In Melbourne Recital Centre’s 10th Anniversary year, we are seeking to purchase a new Steinway Model C grand piano to match our existing instrument in the Primrose Potter Salon. This new instrument will expand the musical possibilities of the Centre, opening up the Primrose Potter Salon to a wide range of new repertoire and education opportunities. Our goal is to raise $250,000 towards the purchase of this new instrument and we are seeking the support of piano lovers in our community to help make an important impact on the Centre’s capacity to support pianists of all career stages. We are thrilled to announce that until May 31 2019 every gift we receive towards this project will be matched dollar for dollar by Gandel Philanthropy, up to $100,000. Whilst every gift helps us closer to our target, donors who contribute $500 or more to this project will become part of our Steinway Giving Circle. This group of committed piano lovers will enjoy a close relationship with the Centre’s fleet of Steinway instruments, and be invited to a special event to celebrate the arrival of the Centre’s new Steinway C.
Every dollar raised supports initiatives that connect local artists, composers, fans and the general public with Contemporary music icons. Allow the Centre to offer the use of the older model C instrument to schools and student groups, whilst ensuring that the new instrument is reserved only for professional artists. Allow the Centre to make the older Model C available to contemporary artists wanting to use a ‘prepared’ piano for more experimental works by adjusting the piano strings in unusual ways.